Random House Books for Young Readers, 9780553537444, 32pp. Discover this beautiful pet-adoption story from Holly Hobbie, the creator of the bestselling Toot & Puddle series and one of the most treasured children’s illustrators of all time. 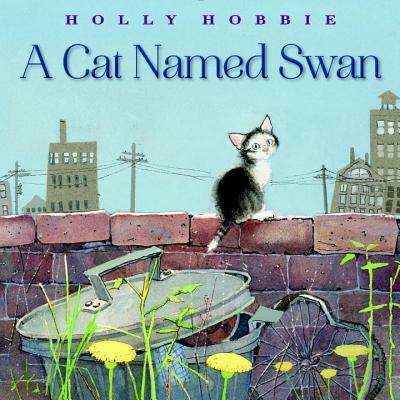 Beloved author-illustrator Holly Hobbie presents the story of a rescue cat’s adoption, the paradise he finds, and the transformative joy he brings to his new family. Holly Hobbie’s intricate watercolors evoke the small kitten’s hardscrabble life as powerfully as they do his blissful one. This story tugs the heartstrings and is a testament to the importance of pet adoption and the powerful ways that pets connect with their people. HOLLY HOBBIE has worked as an artist for more than thirty years and is the author of eleven highly acclaimed Toot & Puddle picture books. Most recently, she wrote and illustrated her own picture book memoir, Everything but the Horse: A Childhood Memory. Holly and her husband, Doug, live in Massachusetts.